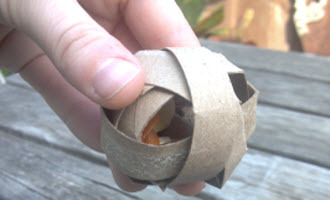 Turn a TP roll into a ball that has treats inside for your rats! Cut a TP roll into rings. Put the rings together one inside the other to create a ball. Tuck some dry treats into the ball, then give it to your pet.